Founded by long-time agave cultivator and distiller David Ravandi, 123 Organic Tequila is an artisan producer of certified organic tequilas made from estate-grown lowland agaves northeast of Guadalajara in Jalisco, Mexico. Ten-year-old, slowly ripened agaves are cooked for two days in traditional stone ovens to concentrate flavor, then double-distilled using a small-batch process. The distillery’s philosophy shines in the liquid itself: A paradigmatic expression of pure agave flavor. This unaged “mother spirit” tequila boasts clean, powerful aromas of fresh agave and lemon peel, black pepper, and minerals. Silky smooth, it finishes long with a mildly sweet kick. 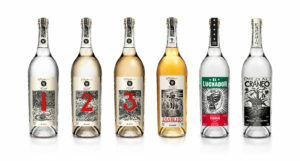 Simple, organic cocktails or relaxed sipping best expresses this Blanco tequila’s quality and purity. This rich, aged tequila was originally created for Ravandi’s personal collection, and in 2014, he released 1,000 bottles. Since then, it has become a limited, annual release of only 2,500 bottles. Derived from higher-elevation agave and aged for 40 months in new French Limousin oak barrels, this “little devil” of a tequila boasts a rich, creamy body that greets the nose with vanilla and black pepper scents. Flavors of vanilla, spices, and roasted agave then settle in before a tart, citrusy, long-lasting finish hints at the tequila’s complexity and easy-drinking nature. Please use the Product Finder to locate 123 Organic Tequila in your area. 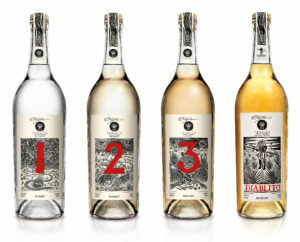 123 Organic Tequila is made by 123 Spirits, the maker of El Luchador Organic Tequila Blanco 110 and Cráneo Organic Mezcal.